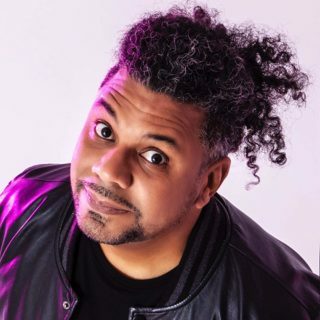 Orlando Leyba connects with diverse audiences through his unique life experience and perspective as a domesticated man/husband. With his animated demeanor, Orlando entertains audiences through his dynamic storytelling and undeniable likeability. Orlando has been working hard and making his mark on the comedy scene. He recently performed at SXSW and was a finalist in NBC’s 2016 Stand-Up Showcase, The Laughing Skull Comedy Fest, and BigSky Comedy Fest. He’s also become a regular at other comedy festivals and clubs throughout the U.S and Canada.